Your sites or servers will be checked from locations around the globe with specific interval. You may have as many contacts as you wish. Mostly, alerts are free. We send Uptime reports to you. Also you can expose Uptime data to your customers and partners. PageSpeed - website performance test from selected location of the globe using browsers. It checks for problems each element of the page and measures time, required for its download or execution. General Http check of your website. Each test simulates downloading of the page by a real customer. For 24x7 monitoring you should register, in case of a problem you will receive instant notification by e-mail, SMS, Hangouts, Skype, Slack, Telegram or phone call. Check through ICMP (ping). If Ok, the site or the hardware is available online. If failed, either the checked server is unavailable, or ICMP is disabled for this point. You can use other types of check for further analysis. If part of checking servers return failure, the site could be banned in certain countries or some locations could be accidentally blacklisted in order to avoid some ddos attack in the past. Advanced check through ICMP. Does the same thing as "traceroute" program in Linux and macOS, or the "tracert" program in Windows. Shows the path from the customer to the site, checking each hop on the way. Can help to evaluate which junctions are weak and find out if a delay is caused by the local or network-related problems. Check of the specific port via TCP. This kind of check is useful to monitor network applications. If Ok, the port is open. Failure means or closed port, or complete unavailability of the server. You can use other types of check for further analysis. Check if a site, domain or IP is not listed in most popular DNS blacklists. Even a healthy site could be included there accidentally or for some reasons. Being listed in DNSBL, site loses its customers and value in search engines. It's crucial to be sure that your site is out of the DNSBL. Check if a site has some known vulnerabilities. Among them: ShellShock, vulnerability of sites, hosted on Linux servers, can cause ability of a third person to place unauthorized cookies; Logjam, vulnerability related to security of https connection; Poodle, check if the server uses modern SSL version as some older are easy to breakthrough. Find the information about person or a company who owns the domain. Check if a site is available from Russia. Some sites are banned by Russian government. For daily monitoring you should sign up, in case of problem you will receive instant notification by e-mail, SMS, Hangouts, Skype, Slack, Telegram or phone call. 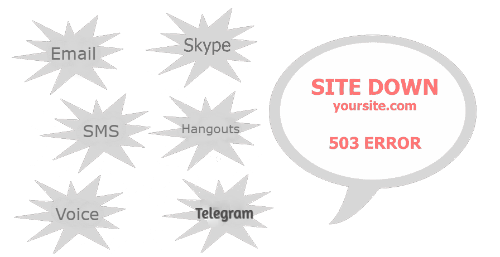 We check availability of your site from 140+ locations through HTTP, ICMP(ping), SMTP, SNMP, TCP. Content monitoring. Check if your domain/ip is listed in one of the known black lists with the DNSBL feature. Auto-pause your Google Ads if your website is down or start if it is up. 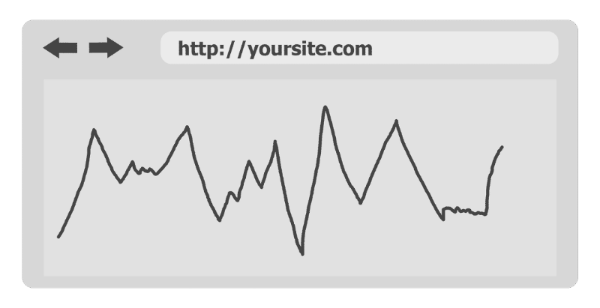 You definitely want to know your website response time behavior. Get a glance at your server load parameters. Do not hesitate to contact us. We'll do our best to help you solve your problems. HostTracker offers you around the clock monitoring and reports of uptime and response time giving you alerts of maintenance scheduling and database monitoring.They have an instant check available and can offer you many more services in the process of tracking your site to maintain the proper functioning of it.Thanks to it, you can eliminate your downtime and increase its uptime.